In September Fisherprint TLC helped to transform a local shopping centre into a scientific area of discovery! 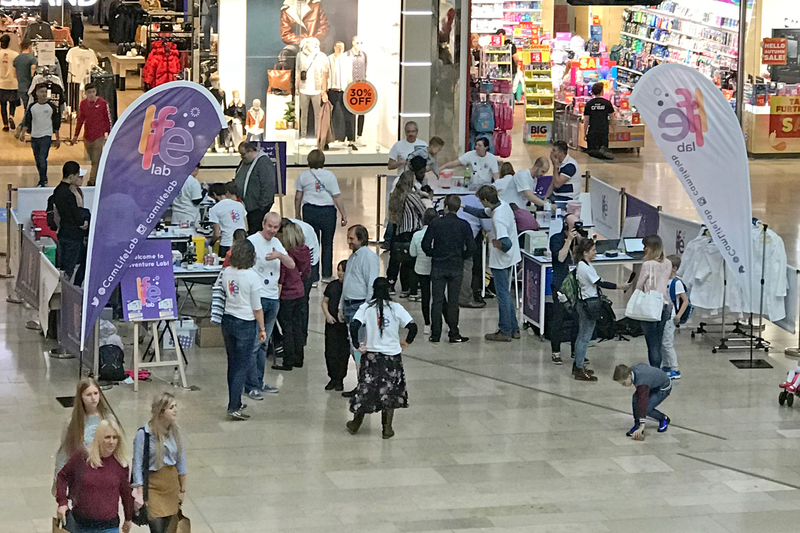 Fisherprint TLC took a step into science last month, assisting with the print requirements and installation for a weekend long family-friendly life science event, right in the heart of Peterborough city centre. 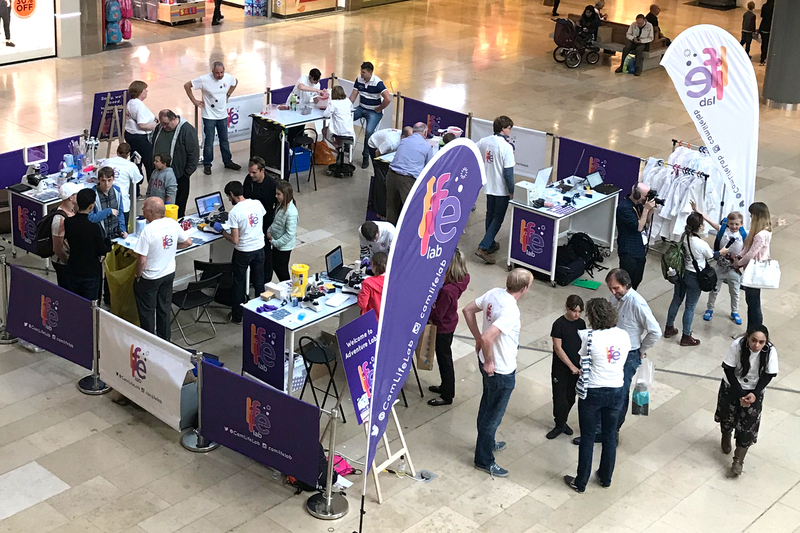 Working alongside LifeLab, which is led by Wellcome Genome Campus Public Engagement, with partners including the European Bioinformatics Institute (EMBL-EBI), Fisherprint TLC helped to transform Peterborough’s Cathedral Square and Queensgate Shopping Centre into an area of discovery, with the arrival of Pop-Up labs ready for adventure and experiments! By using large hanging banners, colourful feather flags, decorative Foamex boards and eye-catching Café Barriers, Fisherprint TLC helped to bring this exciting event to life. 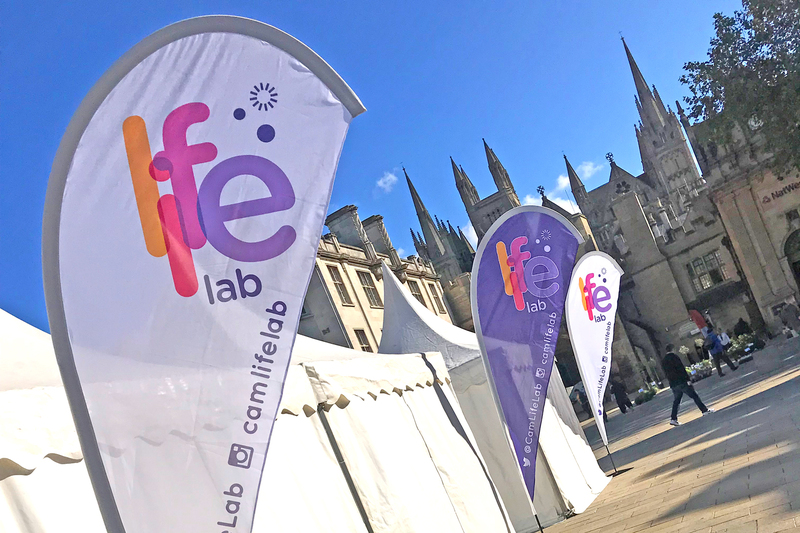 LifeLab aims to reach out to all communities, including people who haven’t engaged much with science or research before. The free event focused on discovering the world around us all, and the pioneering life science and opportunities on our doorsteps. Have you got an event coming up that requires some eye-catching signage? Contact the Fisherprint TLC team today on 01733 341444 to find out how we can help.